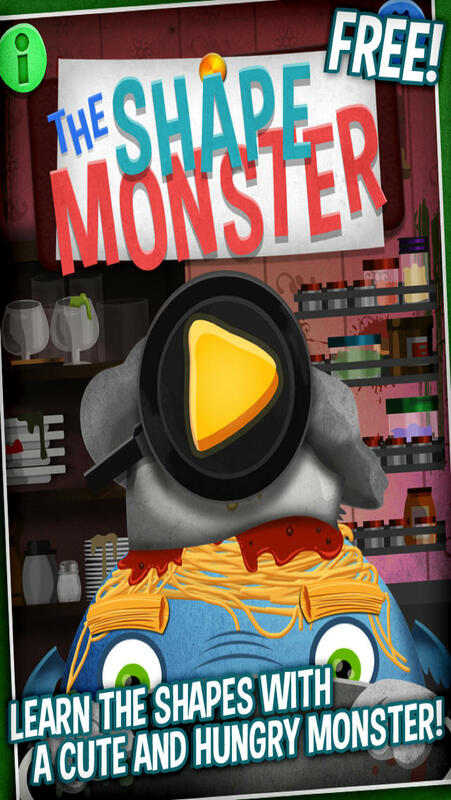 The Shape Monster is a demanding chef who is very specific about the shapes of his ingredients. Amongst the spice racks, stacked plates, and oozing stockpot, you’ll have to feed this hungry, food-slobbered monster. The key to keeping his belly satisfied is knowing your shapes! Kids can play on their own by following the chef’s verbal instructions. His upbeat voice and spaghetti hair show his enthusiasm for tasty food and learning! With its click-and-drag interface, this game is simple to play so kids can focus on learning. Visual cues are also available as a game setting option. This game offers two levels. The first level teaches basic shapes, such as circles and triangles. Players can challenge themselves with the second level, which approaches more complex characters like hexagons and octagons. The graphics of this game are friendly and creative. The pasta-face chef is upbeat and friendly, and though his kitchen is a mess, he sure knows how to cook up a good lesson on shapes! Parents and teachers have the option to turn visual cues on and off to make the game easier or harder. Furthermore, for easier play, they can “turn off” the vegetable and food illustration mode to make the shapes more defined (eliminating any extra illustration qualities). Parents and teachers have the flexibility to define the parameters of the game. Kids will learn a handful of different shapes, from triangles and ovals to pentagons and hexagons. This game is available in four languages: English, Danish, Norwegian and Swedish. That way, kids can learn the names of shapes in more than their native tongue! This game is FREE with no hidden charges or surprise fees. Did you enjoy the Shape Monster? Learn more with his friends, the Letter Monster, the Number Monster and the Color Monster!